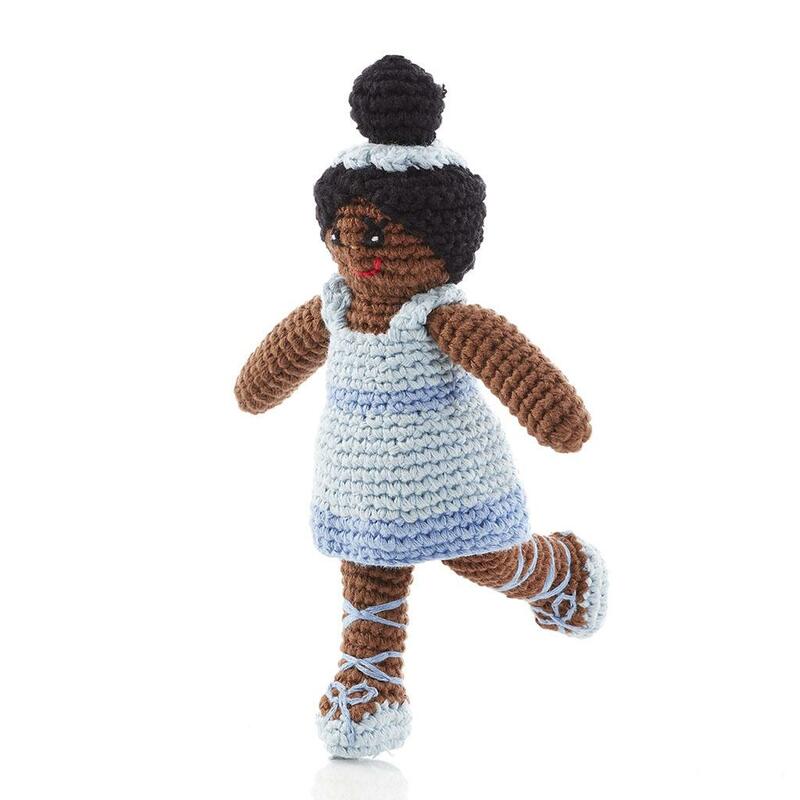 Our ballerina soft doll rattle is a perfect baby gift. Tactile with a soft rattle it appeals to baby's senses and ecourages play. • Handmade and fair trade. We know who made our dolls!